DSSWORLD is a Software Development company that offers extensive services enabling business of all kinds to expand and maintain competitive advantages in an era that demands pace, innovation and correctness. Our company is outcome oriented and has a holistic business approach. Right from our inception, the company stood firm and made a mark in the world market with its integrity, honesty and commitment towards each project assigned. The flexible approach and diverse modules are the key reasons for clients and customers to rely on our solutions with utmost confidence. Software Development is something, where we are programming. 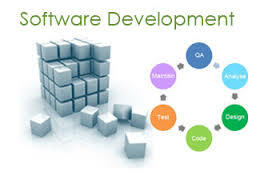 We have developed software's which are both desktop based and even web based for clients from various domains. Customer Relationship Management (CRM) is all about managing the relationships you have with your existing customers including potential customers. CRM combines business processes, people, and technology to achieve this single goal: customers satisfaction. It's an overall strategy to help you learn more about your customers and their behavior so you can develop stronger, lasting relationships that will benefit both you and your customers satisfaction. It's very hard to run a successful business without strong focus on CRM. After all, it's all about the customer. 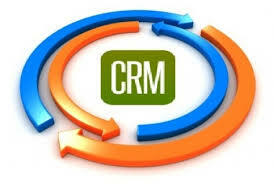 Successful CRM involves many different areas of your company, starting with sales, of course. CRM Solutions CRM solutions help ensure that your sales, marketing, and support efforts are all working toward a common goal, so you can take your business success to a whole new level. With CRM solutions from us, you'll streamline and automate business processes, give everyone in your company a complete view of the customer, provide deeper analysis and insight into critical sales and customer metrics, and keep everyone. 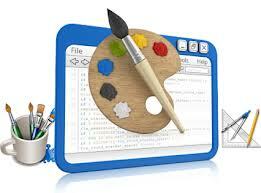 Website Development And Designing are one of our fortes. We are highly experienced and professional when it comes to it. We have created many website's for many reputed clients. Even the redesigning of any website can be taken care of. Data processing is another important strength of ours, where we are already working with large clients. We are highly equipped to take over any kind of data processing job.